Opera Software ASA, and Moore Frères & Company, an investment holding company focused exclusively on the tech, media, and telecom industries, today announced that Moore Frères has acquired a majority, controlling stake in Opera TV. Opera TV is the leading independent developer of cloud and embedded software that enables the TV and media industry’s transition to over-the-top (OTT) content, whereby video can be streamed directly to consumers’ living rooms via the Internet, to devices such as Smart TVs, Blu-ray disc players, set-top boxes and video game consoles. 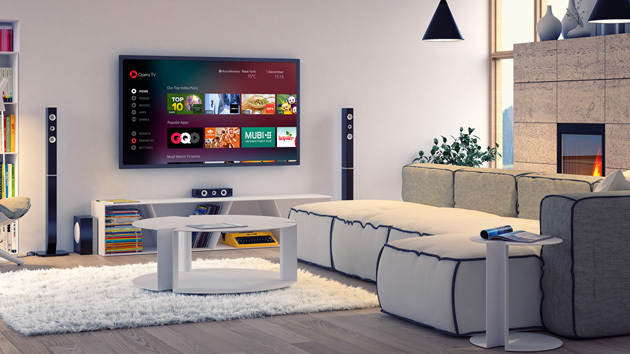 Opera TV’s software platform enables these connected devices to deliver a complete consumer experience that embraces OTT content. Opera TV’s major customers include consumer electronics companies such as Sony, Samsung, TiVo, Verizon, and Sagemcom, and it serves customers across the globe in Asia, Europe, North America, and South America. The global OTT market is expected to more than double by 2020, growing at an estimated CAGR of 17.2% to $62 billion(1), according to RnR Market Research. Further, according to IHS, more than half of all households in the US, Europe, Japan and China will have smart TVs by 2019, which is approximately 426 million households(2). IHS also forecasts that 378 million set-top boxes will ship in 2016, up 7.7% from 2015(3). Going forward, there is broad consensus that the majority of set-top box shipments will include OTT-enabled software, which positions Opera TV and Moore Frères to be the key enabler of OTT in the global TV industry. Aneesh Rajaram, who served as general manager of the Opera TV Business Unit and has led its brisk growth since taking over in 2013, will continue to lead the business as Opera TV’s CEO post transaction. The acquisition is the first by Moore Frères, which launched in 2014 by experienced technology, media, and telecommunications (TMT) investors and business leaders previously with Viacom, Inc. The investment holding company was created with a vision to acquire and transform high potential TMT companies for long-term growth in the rapidly changing connected economy. Moore Frères & Company was advised by a cross-border legal team led by A. Mark Getachew of Willkie Farr & Gallagher LLP, as well as financial advisor Quintus Partners and accounting firm BDO. Morgan Stanley Senior Funding and Morgan Stanley Credit Partners provided financing for the transaction. Opera was advised by Carnegie Investment Bank. Moore Frères & Company is a New York-based investment holding company focused on acquiring established companies across the global technology, media and telecommunications (TMT) sector. Founded in 2014, the Company invests in TMT assets with the intention of perpetual ownership, which provides continuity to position complex businesses for long-term growth in the rapidly changing connected economy. Moore Frères & Company utilizes its digital, line management and financial expertise to unlock transformative growth opportunities. Our investment approach offers the best of both the financial and strategic investor worlds – limited involvement in daily operational matters while simultaneously providing deep sector insights, C-suite relationships, and innovative commercial expertise. Learn more about Moore Frères & Company online at www.moorefreres.com. ← Young Indians prefer receiving online gift vouchers instead of traditional gifts, new shopping survey shows.